Well maintained and move-in ready. This home is situated on a cul-de-sac street and is within walking distance of Swift Creek Elementary School, the park and Brandermill pool. Great floor plan with wood floors and decorative wood moldings in the living room, foyer and dining room. Spacious eat-in kitchen has new disposal, tile floor and Corian solid surface counter tops and is just steps away from access to the deck - perfect for outdoor entertaining. The living room is currently being used as a play room but would make a perfect space for an office or formal entertaining area. Upstairs, you'll find 4 roomy bedrooms. The master with private bath and linen closet offers a spacious 8' x 5' walk-in closet. Additional features: New interior paint throughout since 2012, new exterior paint in 2012, new disposal, large, fenced back yard w/attached and detached sheds, deck and fire pit w/seating area, new roof in 2012 and both attic access and walk-up partially floored attic for lots of additional storage. Brandermill pool membership is an optional fee ($220 seasonally for family, $150 seasonally for single). 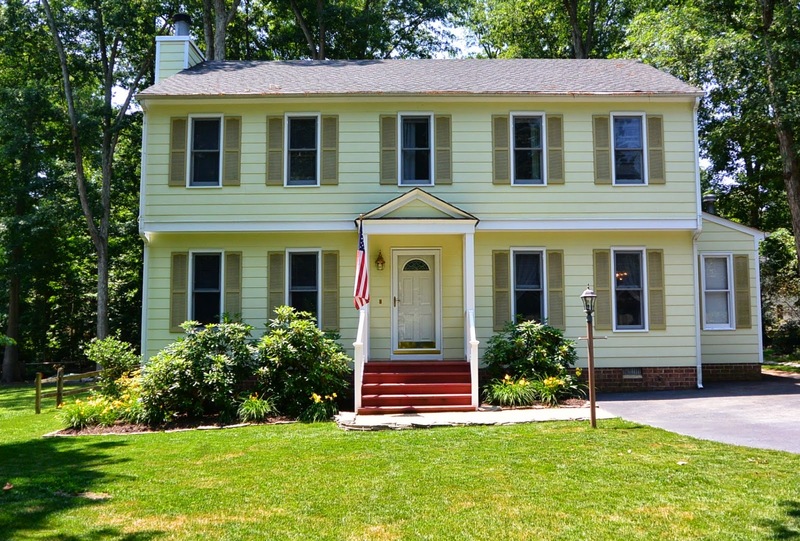 Great neighborhood w/mature landscaping and just steps away from walking trails.